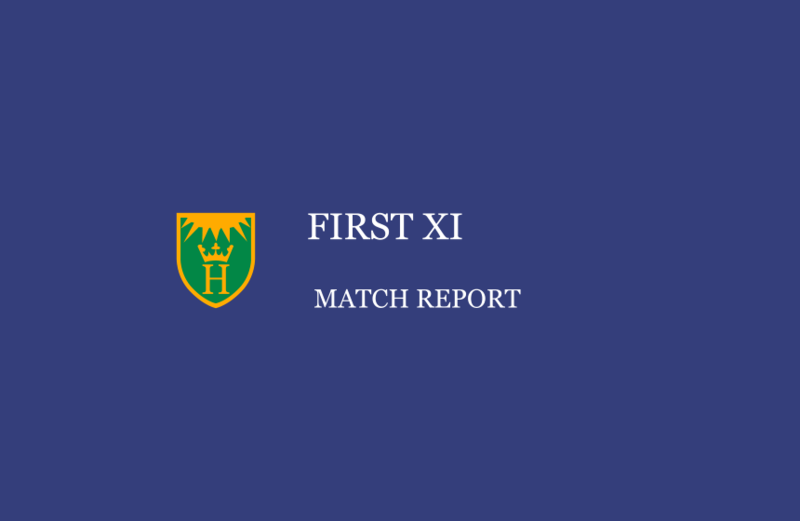 Henley returned to winning ways on Saturday after a dominant display against a Slough side, who threatened much with the ball, but were again the catalyst of their own demise with the bat. This does not mean the Henley bowlers did not turn up however, as Messrs Nugent and Afridi again showed their class, ripping through Slough’s precocious batting line-up, with some assistance from a pitch which made life difficult for batters throughout the day. Slough captain Bobby Sher won the toss and elected to bowl first on their home patch, which up until this point in the season, had proved fruitful for those with willow in hand. However Slough’s experienced captain perhaps saw something others didn’t, as straight away it became clear that runs would be difficult to come by. After Roberts just about came through the opening over from Slough’s answer to Pidge McGrath in Ikhlaq Nawaz, Barnes was the first man to go, nicking off to a loose shot off the bowling of overseas Ahmed for a duck. Former Slough man Hussain followed a few overs later, after a brute of a ball which rose off a length, struck the batsman on at least the helmet and perhaps the glove too. After the ball then tamely looped to gully, Hussain was adjudged caught. Whether out or not, the way the ball dangerously rose off a length epitomised the challenges to be experienced by Roberts and new man Morris for the next 12 overs or so, who despite slow scoring, managed to take time out of the game and get the ball into a condition which would be easier to play in due course. Notwithstanding his resolute defence, Roberts was eventually caught driving a delivery which popped off the wicket, striking the stickers of the bat and offering the simplest of catches to Baig at cover. Woods then joined Morris and the pair managed to quell Slough’s momentum, picking off more bad balls as the bowlers began to tire, whilst remaining watertight in defence when required. The introduction of spin allowed Morris to dictate the pace of the game more, with Woods ably supporting at the other end, bringing Henley to lunch on 74-3, which despite some brilliant bowling and a tricky wicket, was a good effort by the Henley batsmen. After lunch, Morris soon reached an impressive 50, which included both dogged defence and stylish stroke play. However, he departed soon after, caught at midwicket off Green, trying to ease the impressive spinner into vacant space. Ashraf joined Woods, who after a fortunate drop on 40, also passed his half-century and took the lead role, allowing Ashraf to knock the ball around and create another frustrating partnership for Slough. Despite not notching up big runs, Henley’s middle to lower order did well to support Woods, who’s 87 was worth 130 on a normal wicket. Tahir Afridi took up the mantle after Woods’ departure, playing as well as anyone and ensuring Henley managed to post 214, all out just shy of their allotted 64 overs. This total was judged to be just over par, considering the volatile wicket and Slough’s strong bowling display. And so it proved, with Slough capitulating to 57-7 at tea, showing just how well Henley managed to adjust to conditions with the bat earlier in the day. Both Nugent and Afridi were outstanding, with Afridi at his metronomic best and Nugent, despite not necessarily at his most rhythmic, finding a way to be effective on the day and bowling some unplayable overs. Slough’s batsmen simply had no answer, with only Qureshi showing a combination of stroke play and defence which may have facilitated a threatening run chase. When he departed off the bowling of Nugent, his opening partner and Slough’s overseas had already been dismissed, leaving Slough’s middle order vulnerable. Paternott’s bravado lacked longevity and courage, leading to him nicking off to Nugent, a fate which also befell Khan, before Afridi accounted for captain Sher and Slough’s last recognisable batsman Feroz Baig. Henley showed superior skill sets, along with competitiveness and aggression to which Slough simply had no reply. After tea, Slough were quickly 8-down, with Afridi bowling Green for a valiant 11. Despite some resistance from Zaman, and Henley perhaps taking their foot off the gas slightly, the introduction of Henley’s now fully-fit Gurveer Singh created problems straight away, as he soon dismissed Nawaz LBW, before having Berkshire’s Ally Raja caught at square-leg off an attempted sweep. Slough all-out for 96, a result which will have certainly made a statement at the halfway point of the season.